Awakened Heart will be a much sought after book to read over and over again. It is a series of revelations given over many years all pointing to awakening and reformation. Visitations, supernatural downloads from heaven while preaching and prophesying were caught on audio and transcribed to be able to fully comprehend the divine moment we are living in. There is not another book like it available. 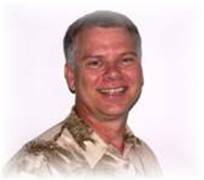 Greg Crawford, or APG as he has been lovingly nicknamed, is the founder and president of Jubilee International Ministries. J.I.M. is comprised of several ministries as follows: The Base, a Kingdom gathering place and resource center for the Body of Christ to unite and advance the Kingdom of God. Jubilee School of Ministry, a fully accredited Bible College offering degree programs and a focus on equipping reformers to impact the church as well as society and Jubilee International Network of Schools with over 40 schools in 8 nations. He is currently serving as the USAR Iowa state coordinator for Dutch Sheets. He also serves the executive boards of both the Iowa Alliance for Reformation Council and Iowa For Jesus, a prayer network of intercessors and houses of prayer in Iowa. Apostle Crawford travels nationally and internationally conducting leadership conferences and also counsels and helps guide several ministries that are covered and ordained through J.I.M. God has blessed him with a revelation teaching style that opens the Word of God in new dimensions. His ministry is hallmarked by a unique ministry of laying on of hands and impartation. His primary focuses are spiritual fathering and fulfillment of kingdom mandates. He holds a Doctorate degree in Philosophy of Ministry. His covering ordination is through Jim Hodges of the Federation of Ministers and Churches, International of Duncan, Texas as well as Blue Ridge Gospel Fellowship in Rocky Mount, VA.